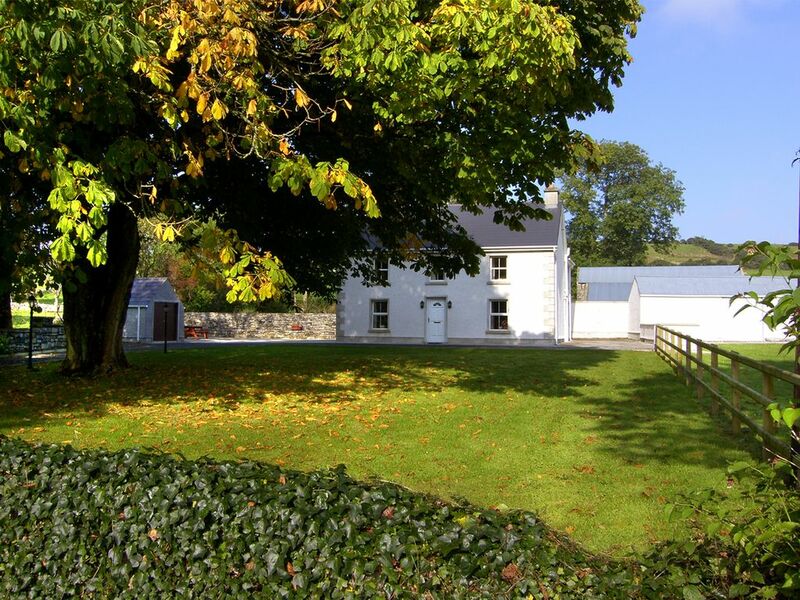 Just 10 miles from thriving Donegal town, along the Atlantic coast, sits this wonderful traditional farmhouse in a gorgeous countryside setting. It has been recently refurbished to its former glory and boasts two sitting rooms, both with welcoming fires. The popular seaside resort of Rossnowlagh is only 3 miles away and is known as one of Ireland's premier surfing beaches. The town of Ballyshannon is 4 miles away, making this a great touring base for the rest of the North and Northwest, with its choices of activities and spectacular scenery.Shop. Pub. Restaurant 4 miles. Beach 2 miles. GF: lounge, kitchen/diner, 2nd lounge, double shower room. FF: 3 doubles (with w.c.) 1 with ensuite shower room, double (with w.c.) with ensuite shower room, bathroom with shower over bath.Oil by meter read and electricity by meter read, open fire with fuel supplied, wood burner with fuel supplied, linen and towels included, travel cot, high chair, stair gate, TV, dvd player, CD, fridge/freezer, microwave, dishwasher, washer/dryer, internet access, hairdryer, welcome pack, fully enclosed garden, patio area, picnic bench, bbq, private off road parking. One pet welcome. Great location 15 minutes from amazing beach by car, not much to walk to but lovely country side. House is nicely stocked with kitchen ware., spacious living between two sitting rooms and 4 large bedrooms all upstairs. There is a mobile wifi which we had to top up ourselves so WiFi available at a charge but cell service is decent in the area so not to bad. Donegal town which is where I would go to grocery shop is 15 minutes with a SuperValu which has a great selection of everything you would need. Mr Hammond is lovely and efficient, very proactive owner and friendly disposition.